Engagement portraits and couple photography. Couple and engagement photography gallery. Your engagement is a milestone event, along with the wedding and you should have some pictures that reflect that time. 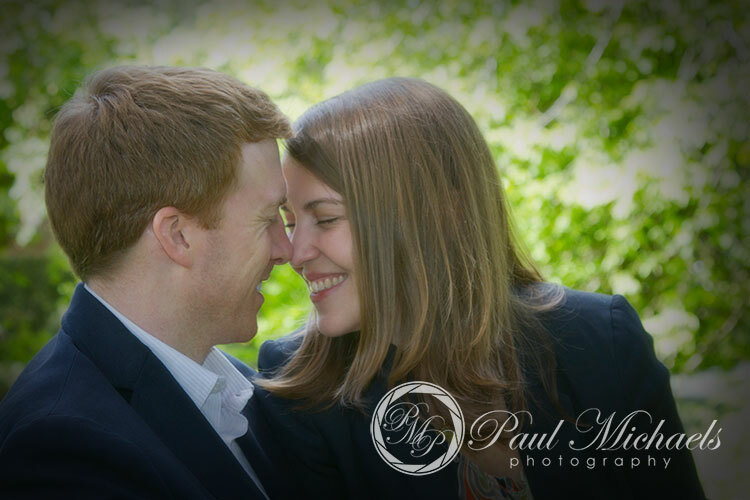 Capture your engagement with Paul Michaels Photography. Most couples prefer to do their engagement photo shoot in a relaxed environment. 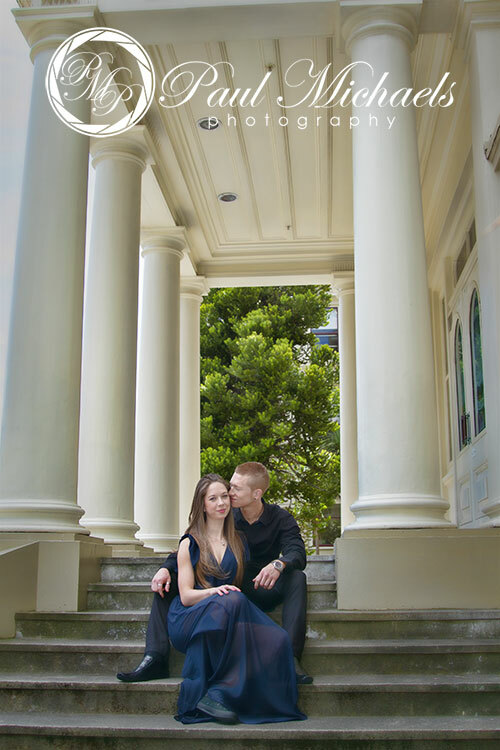 The most popular location is the beach or botanical gardens, but your pictures can be taken at some of the historic wellington buildings, or wherever has a meaning to you. You may also consider a more intimate studio engagement portrait, just let us know what you want and we will advise on getting the very best images. Photo shoots can be done at any time, however for location shoots the lighting is normally best late afternoon and if we’re lucky can incorporate a beautiful sunset too. Clothing should be kept neutral, no patterns, big logos or stripes. Ideally clothing should match both the location and your personalities. For the beach I would suggest light colours, blue or pastels. Park photo shoots are best in tans, blues and greens. You should also wear colours similar to each other, so that the portraits are focused on you not the clashing colours. If you don’t normally wear foundation, I highly suggest it for photo shoots. With neutral colours for the make-up recommended. Bring some lip-gloss with you to reapply after smooches. If we are at the beach (or possibly anywhere on location in Wellington), please keep in mind that it is sometime windy. So, you may need a little more hairspray than normal. The engagement photos can be done at any time before the wedding, so complete an enquiry or give us a call and we can have a chat. 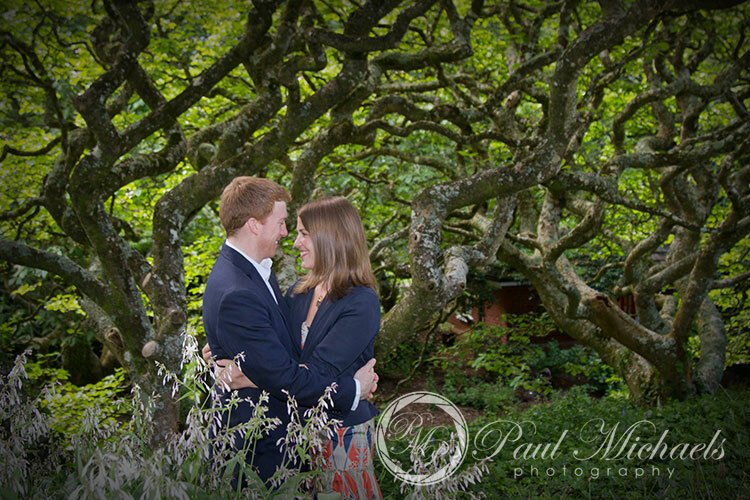 Engagement portraits by PaulMichaels photography.